1. Tell about a meaningful experience you had running or racing- something perhaps particularly deep, emotional or difficult. Something that goes a bit deeper than the usual Instagram post to reveal connection with other people, nature, yourself, or meaning in life. It could be anything really! The most meaningful experience (although it isn't just one experience, it is a whole web of them) that I think deserves some recognition are my two crew members Reece Stanley (my little brother) and Dean Eastham. Dean has only missed one 100-mile race I've ran. When I first met Dean, he had just purchased the local running store in Breck, and even though all my ultra-running resume consisted of was one Leadville 100 DNF and a 6th place finish at a non-competitive 50-mile race, he would tell everyone that walked in the running store that I was going to win Leadville. His devotion to my running is only shadowed by my own. It blows my mind and humbles me every time he comes out for a race. I am living my dream and there he is doing everything he can to help me. That's kind of crazy. If I think about it, I don't think I have ever returned the favor to anyone else. It's a tall order to fill. My brother Reece has never missed a 100-miler of mine, and there are few ultras of less than 100-miles that he has missed. He was there at my very first marathon, and even had plans of pacing me twice. The first time I dropped and the second time...he was dropped. Although he had a blast running to the next aid station to get a ride to the finish line, and we joke about the story often. What makes all this so impressive to me is that Reece lives in WA State, without hesitation he drops everything and flies to where I need him. I can't wait to see Dean and Reece at every aid station, and I want them to be proud of me each time I see them (no bad sections). This drives me to come into each aid station in a headspace that I may not be able to tap into without them. I consciously think, “okay appear like you aren't in pain, be really focused, or just have a smile on and be having fun”. Honestly, it's not that hard to tap into these emotions if they are real, but there are sections in specific races when these emotions are not real and by having to fake it to make sure my guys feel that they are on the winning team, forces me into these positive feelings. There has only been one race where I dropped the ball on this, and it wasn't fun for anyone. I try to be very aware that the people who are crewing me could be anywhere else, instead of sleeping on the road in the middle of nowhere in brisk Fall weather. Nobody wants to crew a runner who isn't having fun. The goal is to make every race worth my crew’s time. 2. What is a personal struggle you have that you are working to overcome or have overcome. I struggled training for Western States. I know this may offend a bunch of people, but saying I hated Steamboat Springs was an understatement. I thought, "These aren't mountains!" I craved pointy peaks and tree lines. I hated my job. I hated myself for not loving this new life that I had jumped into with my new partner. I couldn't stop crying. Everything was so negative. There was no controlling my sadness. I would start to tear up randomly at work, anytime my boyfriend and I had the smallest of disagreements, I would recede to a place of darkness I was unfamiliar with. I hated weakness and would get frustrated at myself for crying, then I would cry more out of frustration. I am not exaggerating when I say that if I made it one day a week without breaking down, I considered that a victory. I was the most vulnerable while running. A 1/2 mile in and I would be sobbing. Then I would walk or do a slow jog for the next X number of miles until I was done. This was every single run. I became scared of running, because every time I ran I would break down. I had dark thoughts that I would never act on, in terms of hurting myself, but they scared more than the crying, then I would cry because I knew how messed up the thoughts were. This went on for 3-months. I considered dropping Western because I wasn't getting quality training. What was wrong with me? I wasn't depressed, I am too strong for that, depression is for the weak. I was searching for an answer using my symptoms, but nothing I found struck a chord. Until a friend said, "It sounds like you are depressed". No. Not me. I researched depression despite my denial that it was related to what I was experiencing in any way. It was a check list of my symptoms. I started researching more. Rob Krar popped up and it was as if I was listening to myself trying to explain to my friends what I was going through. Once I knew what I was fighting, it became easier to combat it. I am terrified of returning to that headspace. It is hard to describe. It's like you have no control over your emotions, everything is so bleak, and you are in this dark space, that feels like you will never be able to crawl out off. I eventually quit my job, and now leave Steamboat for the Summers. Being happy with what I am doing in life, is the number one weapon in my arsenal to fight depression. When I start questioning if what I am doing on a day to day basis is making a difference or if I am just moving through my days with no sense of direction or purpose, I know it is time to be proactive. I am aware there will be bad days on occasion, and trust me there are, but if I can avoid sinking into that black hole for extended periods of time, in my mind I am winning. 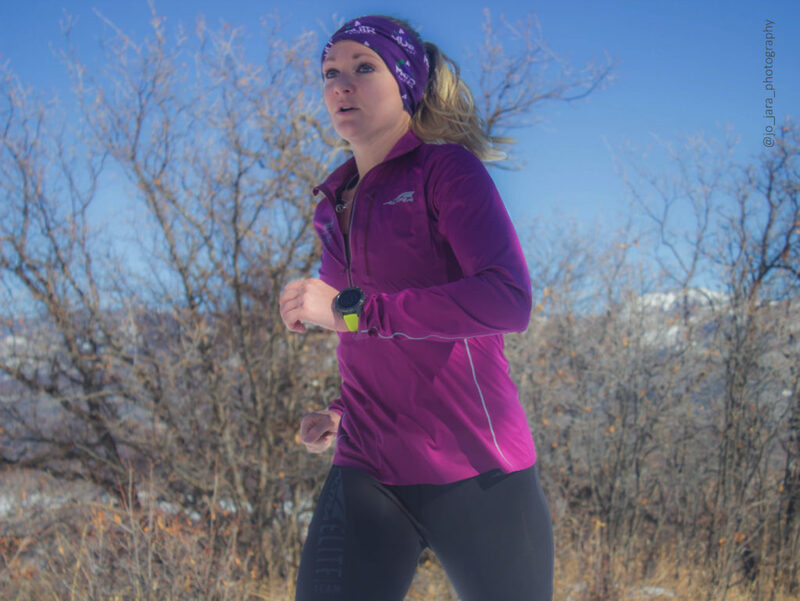 Sabrina is awesome and since you were wondering in the podcast, it was her competiveness and confidence that impressed me in her first interview on irunfar. It’s refreshing to see a wiman that is confident in their abilities and isn’t afraid to say publicly that they want to win. None of that “I’m just here to have fun and see what the day gives me” bs. Nice tunes for the show! Especially the end! This podcast has been great for introducing me to the world of ultra running and training. It really seems like each person is different in their approach. “Trail blazing” seems to be the term in everyone’s results on how to best train for these long hauls! Keep it up the good work. This show rocks!